Our clients who love the Four Seasons Hualalai, LOVE it in a big way and I can see why! If Maui is where you go to be seen and Lanai is where you go to be with nature, then Hualalai is the happy point right in the middle. This resort truly has something for everyone! King’s Pond: The ocean front rooms here are the closest to the beach and have the best views of the entire hotel. At the center of this crescent is King’s Pond a natural spring fed pond filled with thousands of fish and a perfect opportunity for some snorkeling. Sea Shell: Closest to the kids’ pool and surrounding a lush lawn, the Sea Shell crescent is most popular with families. Beach Tree: Surrounding the quiet pool, Beach Tree is a great option if you are looking for serenity and relaxation during your trip. This crescent also has the best sunset views. Palm Grove: Featuring the new adults-only pool and the hotel’s only swim-up bar, Palm Grove is most popular with couples and honeymooners. I will definitely have to make a return trip to the Big Island at some point because I never made it off the hotel property. But, that is part of the beauty at the Four Seasons Hualalai, there is plenty to do on property that you don’t have to leave if you don’t want to and you’ll never get bored! I think four nights is the ideal minimum that anyone should stay here in order to have enough time to fully experience everything that is on offer. The Spa was a major highlight for my trip! I loved the rock stream water experience and my jet-lag treatment was perfect. The men and women’s locker rooms have separate wet areas with a sauna, steam room, hot tub and cold plunge. Then, there is an additional co-ed relaxation area with a great bubbling stream and the smooth rocks have a built-in foot massage effect. They fitness area is also quite large with plenty of equipment, a lap pool, a half basketball court, tennis courts and a separate room for group classes. They offer yoga, pilates, spinning, etc. There are also great walking and jogging trails and, of course, golf! 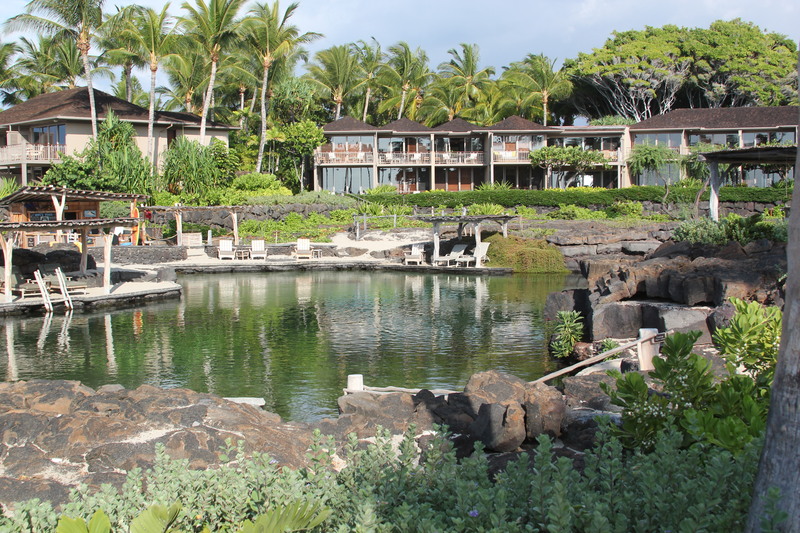 Hualalai was my favorite of the Four Seasons hotels in Hawaii for families. They have a large kids club with indoor and outdoor space and plenty of scheduled activities to keep the kids happy throughout the day. 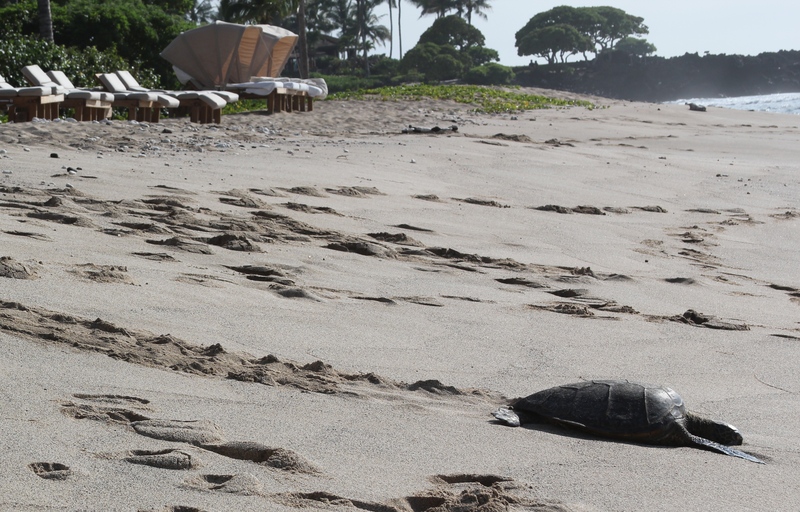 Or, you can forgo the active vacation and just rest on the beach watching the napping turtles all day! 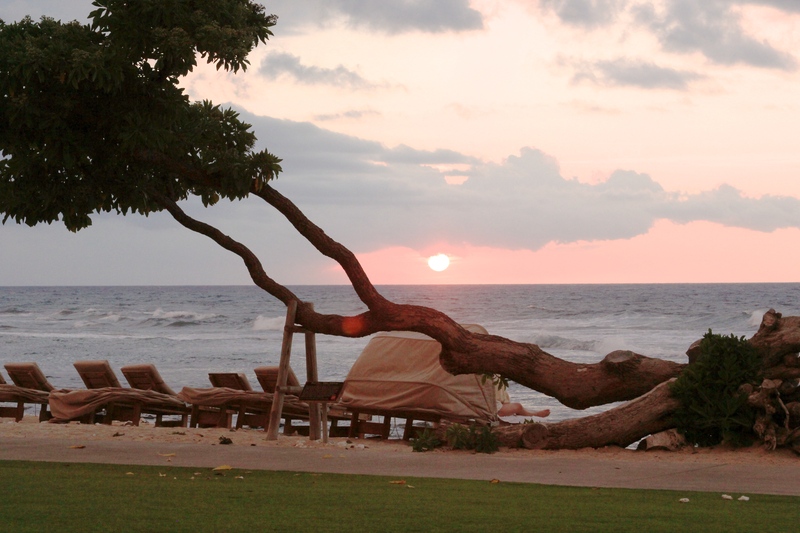 See more pictures from the Four Seasons Hualalai on my Flickr Page! 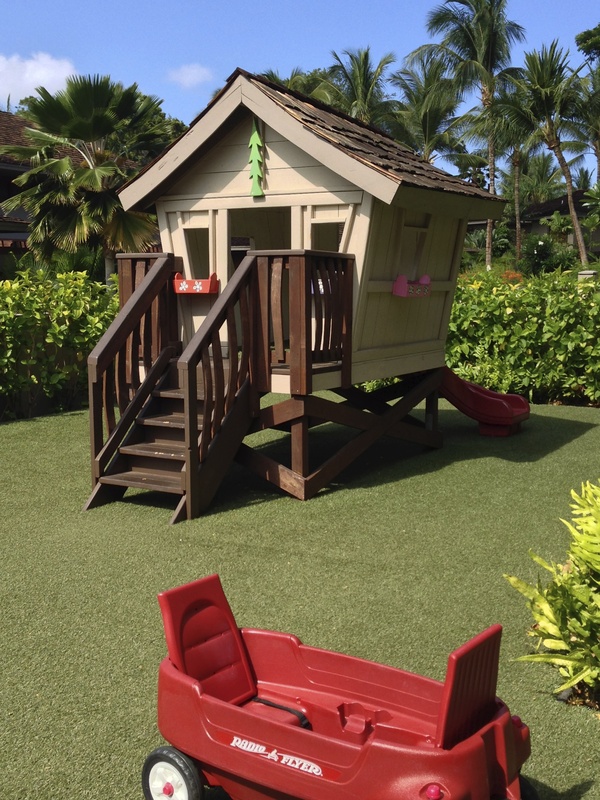 This entry was posted in Beaches, Hawaii, Hotel Reviews and tagged Big Island, family destination, Four Seasons, Hawaii, hotel review, sea turtles. Bookmark the permalink.